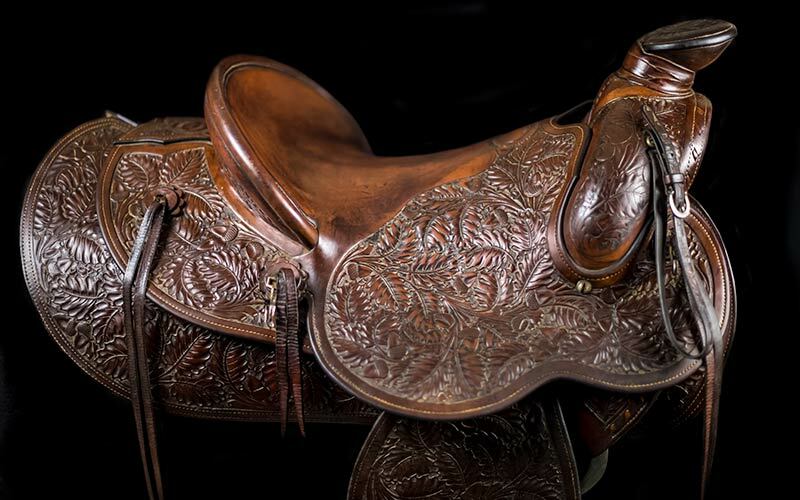 The Saddle Collection consists of over 50 saddles once belonging to famous people, such as Cisco Kid, Will Rogers, Clark Gable, Jimmy Stewart and many others. Also, check out the Bridle Collection. 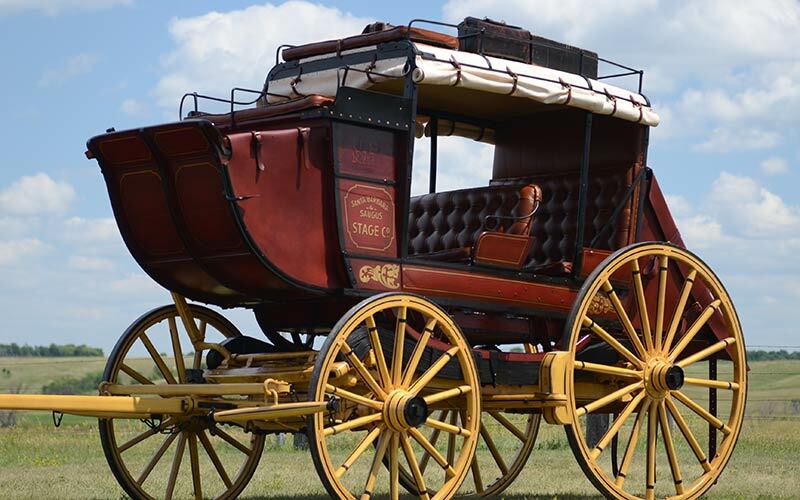 The stagecoach was an important form of transportation from Santa Barbara to Los Olivos during 1861-1901. 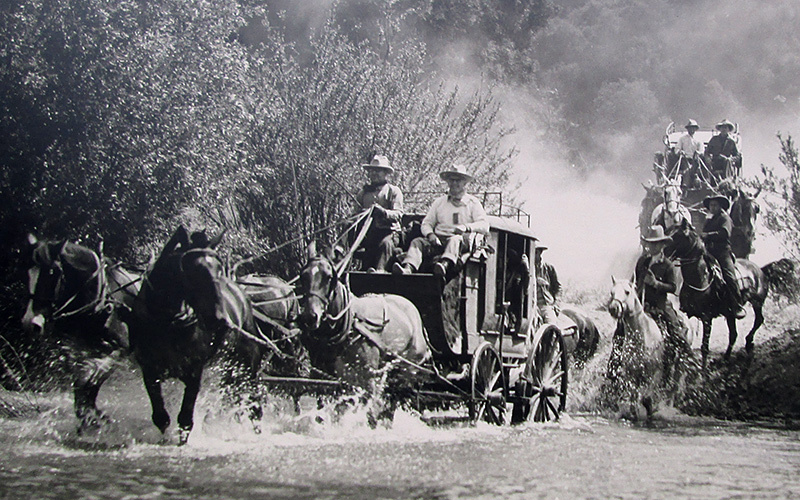 A team of six horses pulled the twelve passenger coach up the famous Slippery Rock route. Painted in the Tecolote Ranch Tack Room in 1931 by Edward Borein.